Look up, look down, look all around. This surely must be the mantra of the naturalist. I was looking at an American Kestrel way in a big willow oak; it had been flying from tree to tree and antenna, too, on the border of Green-Wood. But now the lighting and distance were not conducive to photographs, so I turned around and spotted this on the ground. 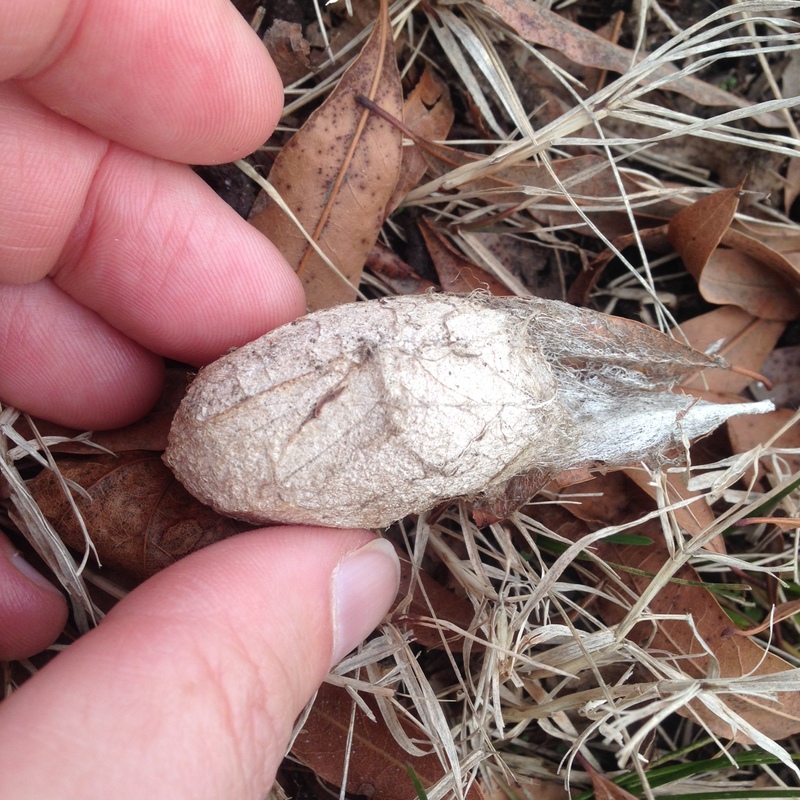 Inside this cocoon, and you could hear it when gently shaken, was the pupa of a big moth. One of the Saturniidae silkworm moths, I believe. (Compare with these.) Normally suspended from tree or other structure, it had evidently fallen from the oak. That should be ok, but there are certainly risks: rodents will eat them if they find them. If I had a backyard, I would have brought it home to “raise” (i.e. do next to nothing on my part) over the winter. Amount of light seems to trigger their emergence in spring/summer. But I worry that an overheated apartment might also push the moth to emerge while it’s still too cold out. Here’s a good bit of detail on fostering them at home.